Shaman Dagaji’s most recent project is gathering the souls of Jesus, Buddha, and other Gods to merge / fuse with one another in a union with Quetzalcoatl, to be projected as his Nagual, Anaconda XOXOLOTL. 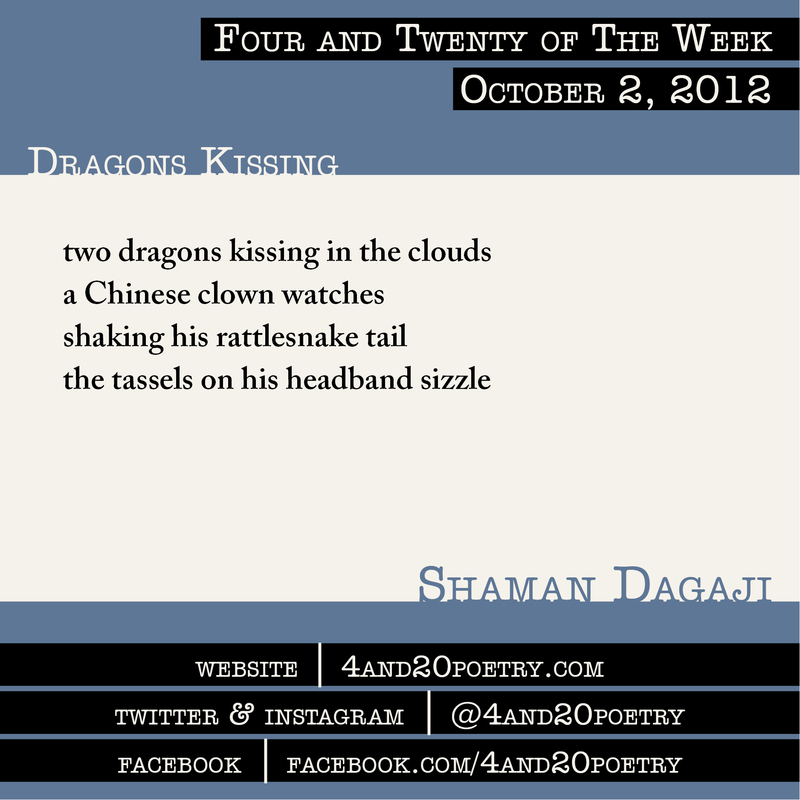 This entry was posted on Tuesday, October 2nd, 2012 at 4:20 am and is filed under Four and Twenty of the Week, Micro Poetry, Poetry. You can follow any responses to this entry through the RSS 2.0 feed. Both comments and pings are currently closed.